Contract Instrumentation sources and supplies a large range of QA and laboratory testing equipment from several trusted product agencies. We are the New Zealand-based distributor for IDM Instruments based in Melbourne. 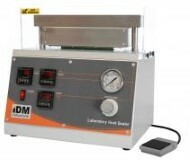 IDM is a leading manufacturer of testing and measuring instruments and their products are renowned for their quality design, manufacturing and performance. 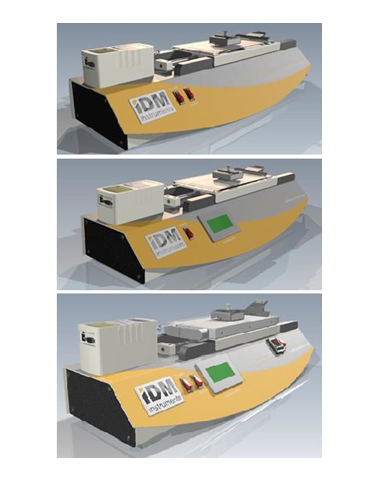 IDM Instruments provides a range of equipment across varying industries. Selecting the links below will take you through to IDM’s full catalogue range of testing and measuring equipment. Exclusive NZ agents for Technidyne USA.High quality bench-top and automated laboratory instrumentation for the measurement and control of the optical, physical and surface properties of paper and related materials. Exclusive NZ Agent for Optest Equipment Inc Canada. OpTest Equipment Inc. manufactures and markets state-of-the-art equipment used for measuring the quality of pulp, paper, board and tissue. 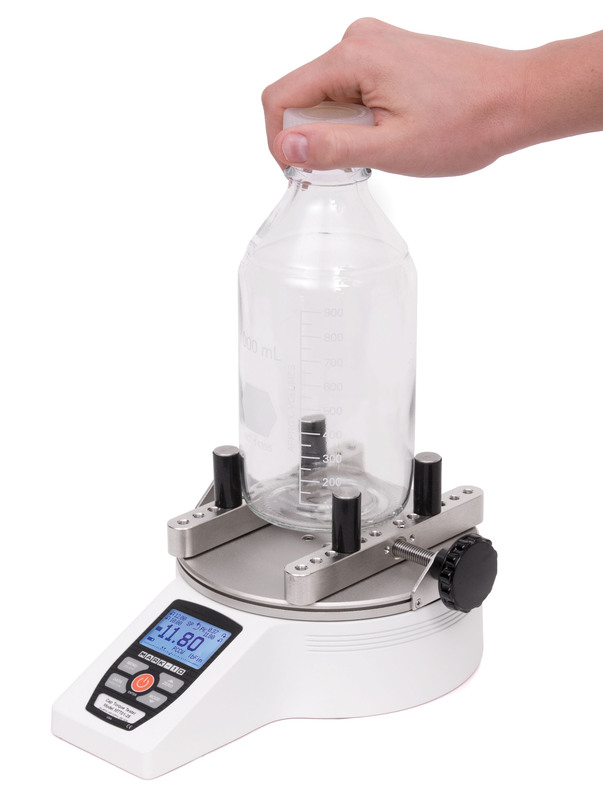 Our products include both laboratory and on-line analyzers for quantifying the quality of pulp and paper. Our customers range from pulp, paper and tissue mills to the R&D Centres in the pulp, paper, tissue and allied industries in over 34 countries. The Color Touch X® brings together a powerful set of tools to meet the demands of the brightness, color, fluorescence and ERIC950 markets. In addition to these traditional applications, the expanded wavelength range of the Color Touch X® provides a higher level of accuracy and capabilities. 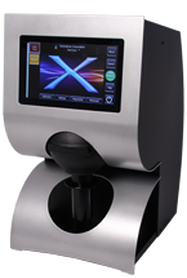 No other instrument in the market today can match the Color Touch X® for capabilities, functionality and quality. Data Trending - Trend data over time, grade run, shifts, etc. Features High-speed 7,000 Hz sampling rate accurately captures peak torque values. First / second peak detection for slip and breakaway torques in tamper evident closures. Moveable posts and other available gripping options accommodate a wide range of sample shapes and sizes. USB, RS-232, Mitutoyo, and analog outputs. Automatic output, data storage, and zeroing upon bottle cap removal helps automate testing processes. 1,000-point data memory with statistics and outputs. Programmable set point indicators and outputs for pass/ fail determination. Password protection prevents unauthorized changes.Mesur Lite data collection software included. 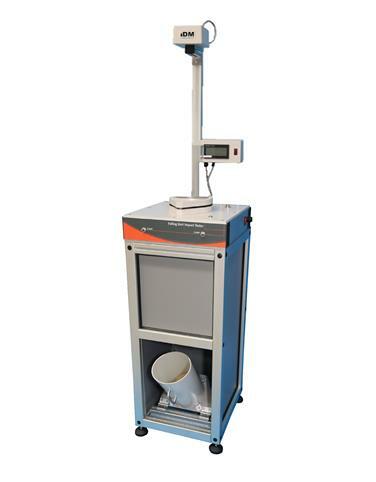 Features High-speed 7,000 Hz sampling rate. USB, RS-232, Mitutoyo, and analog outputs. Large backlit graphic display. 1,000-point data memory with statistics and outputs. Live load bar graph with set point markers. Programmable set points, with indicators and outputs. Peak readings and set points always displayed.Averaging mode - calculates average readings over time. External trigger mode - for switch contact testing or remotely stopping display update. Automatic data output via USB/RS-232 .5 selectable units of measurement. Configurable audio alarms and key tones. Password protection, configurable for individual keys and calibration. 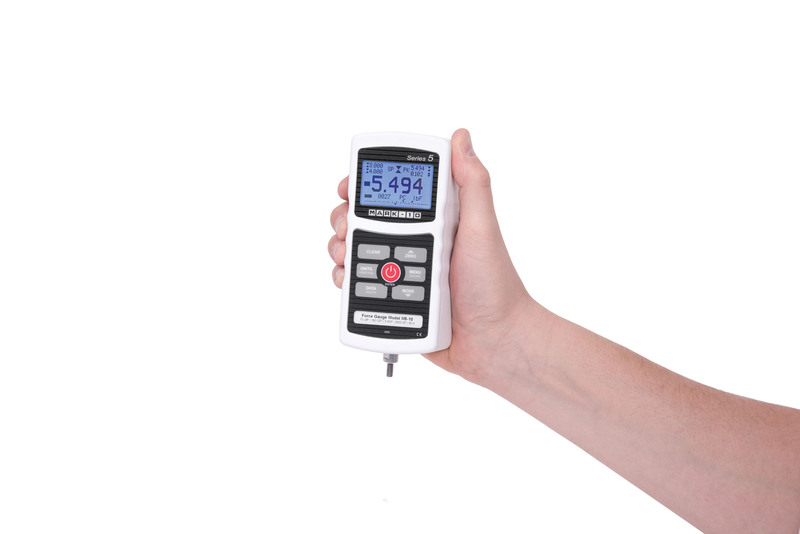 The Handheld Thickness Gauges can be used on many different materials where an accurate measurement of thickness is required. Different models are available depending on weight and contact point required.